What we have experienced the past two seasons off the Southern California coast was nothing short of amazing, as a combination of weather patterns and ocean currents came together to bring anglers something very special. 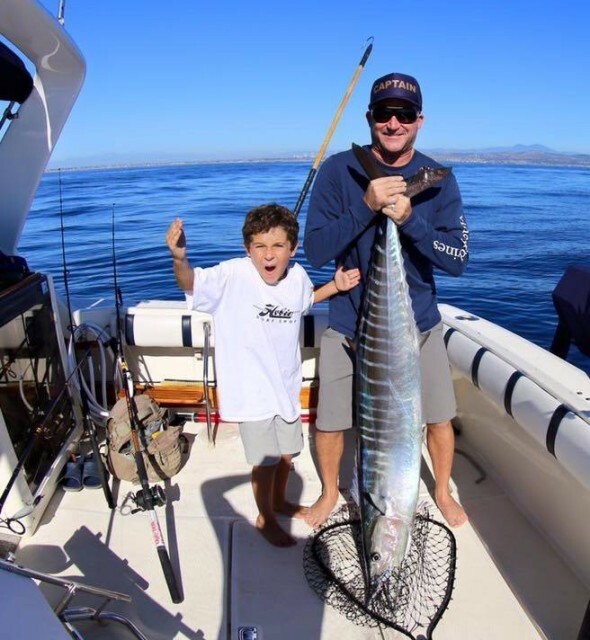 However, wahoo off Dana Point are in the past. 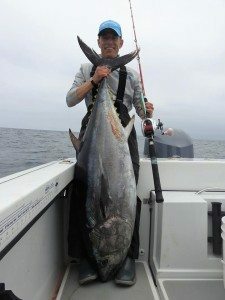 Hordes of hungry yellowfin for ½-day anglers: Probably not happening this season…and don’t plan on targeting blue marlin in the Channel Islands in 2016. Technically speaking, the El Nino/La Nina phenomenon is defined by what happens in the Pacific Ocean down along the Equator. But the apparent impact here in Southern California that goes hand in hand with the condition of the ocean thousands of miles away is hard to ignore. 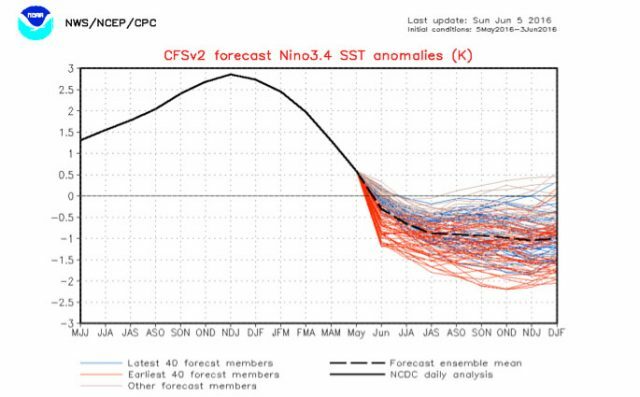 This graph shows the extent of the “Godzilla” El Nino of 2015, which peaked in late fall/winter. Even though the anticipated impact on our weather was never fully realized, the anomaly was still there. The solid line represents past Sea Surface Temperature (SST) anomalies and the other squiggly lines are forecast values for the coming months. Yes, we are quickly headed for a dip. With La Nina rapidly developing, a cooling of ocean waters along the Equator in the Pacific, and the disappearance of the “blob” of warm water that sat off our coast for two seasons, maybe it’s time for the Eastern Pacific to shift back to more of a normal pattern? 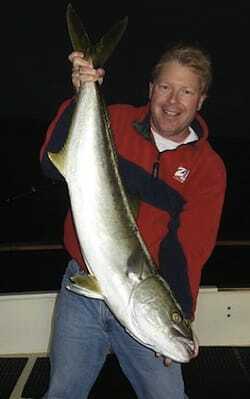 A few king salmon have been caught just off the coast this spring. Squid have returned en masse. White seabass aren’t far behind. 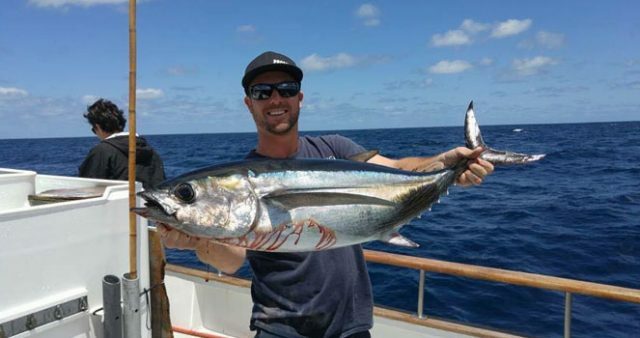 An albacore has been caught by the San Diego fleet before the first of June. Congrats to Shane Wrightson on the Producer out of H&M Landing. They returned May 22nd with the first ALBACORE of 2016. With the exception of the jumbo bluefin tuna showing up locally (and a few confused yellowfin tuna mixing it up with them) we may very well be on our way to what us old timers consider a more normal year. Let’s just see a good run of barracuda at the horseshoe this month. Bimini Big Game Club Remembers Dr. Martin Luther King Jr.